The retention rate for online schools is low and there are many reasons why students discontinue their degree program, from the cost per credit hour to school policies and the quality of the courses offered. Instructors have little control over many of those factors but what they can help with is the classroom environment that they are responsible for maintaining. With every class students are at risk for failure because of the nature of a virtual environment and interactions with others. New students have the greatest risk and the most challenging learning curve. When students take their first class it is a time when their perceptions and expectations meet the reality of working in an online class. Every subsequent class requires adapting in some manner, to a new instructor and set of requirements. This creates a risk or possibility for students to fail. All instructors, not just those who teach entry point classes, are responsible for nurturing the development of their students. This means that teaching is not just a function with a checklist of duties, it is a process that requires full engagement and support for the progress of every student. With online classes it is possible for students to gradually disengage, if they become frustrated or their motivation wanes. If an instructor doesn't notice a student's struggle or does but doesn't conduct some form of outreach, that student may disengage completely within a short period of time. There are proactive strategies an instructor can implement as part of their instructional strategy, to maintain awareness of class conditions and lessen the likelihood of students failing to complete the course. Students start their classes with a variety of feelings. There is a sense of a fresh start, mixed with the possibility of uncertainty, apprehension, and/or anxiety - especially if they do not know their new instructor. The first week requires students to "hit the ground running" so to speak, and few begin by thinking they will fail unless they have determined they do not have the required academic skills and cannot develop those skills quickly enough. Students think about failure most when they put in what they believe to be their best effort and receive feedback that conflicts with that belief and/or they watch their cumulative grade as an indicator of their progress and it continues to decline no matter how hard they try. Some students are not bothered by less than perfect outcomes and others will believe they have failed if they did not earn all "A" grades. There is a perception that grades are somehow tied to a student's self-worth and that causes those students to give up easily when they perceive they have failed. Many online schools have minimal entrance requirements for accepting new students, especially related to existing academic skills. Instructors in undergraduate entry point classes know this condition more than anyone else. It is possible to have students who are so academically under-prepared that the focus of the entire class is on learning the basic literacy skills. How well students are able to progress is directly related to their receptiveness to feedback, ability to cooperate, persistence in the midst of challenges, and the nature of the instructor. If an instructor demands compliance, rather than support and encourage development, it will create a barrier to progress that can set the stage for failure. The very first class, even the first few classes, will determine how well students become equipped to meet the academic rigors of their degree program. The support that the school and instructors offer is critical to helping prepare students for success. Students are expected to follow the required policies and procedures, complete the required learning activities, perform to the best of their abilities, remain highly motivated, and be actively engaged in the learning process as an standard ideal. What instructors use as a guide for assessing how well students are meeting those expectations is what they can "see" in the classroom and that consists of class and discussion posts, along with the effort and attempt made with the learning activities. But to hold students accountable for these expectations, instructors must make them clear at the start of a class and encourage students to ask questions. It is possible that expectations can vary from one instructor to another, which means instructors need to clearly communicate what they will hold students accountable for and provide both clarification and reminders on a regular basis. What may seem clear from an instructor's perspective may not be interpreted that way the first time a student reads it, especially during the first week of class when they are trying to read and process all of the new materials and information. One method I've used is to create a section in the course syllabus that outlines my expectations and then I will refer back to it on occasion, as a reminder for the students. In order to help your students meet the required expectations, and help prepare them for success in their class, there are six strategies any instructor can include as part of their online teaching strategy, regardless of the subject taught. #1. Establish Clearly Defined Expectations: If you expect students to follow your particular requirements then they need to clearly understand what you expect. You can add a section to the course syllabus that outlines your expectations, whether it is a specific number of days you expect them to participate or the use of sources to support the development of their posts and papers. When you post weekly messages, be sure to include reminders about these expectations when needed. One method I have used to reinforce the expectations for written assignments is to develop a rubric and provide it at the start of the class week. #2. Work to Develop Open Communication: Working in a virtual classroom environment can be intimidating for some students, especially if they feel isolated from their instructor, so it is imperative that productive working relationships are established. This will encourage students to reach out and ask for help whenever they have a question or need assistance. Be certain to have a supportive and helpful attitude as the first time a student asks for assistance will determine if they are encouraged or discouraged from asking for help again. The tone used in all responses will be interpreted so I often read my posts and messages aloud to ensure they are as effective as they can be. #3. Teach Students the Power of Self-Assessment: Instructors can help students learn to monitor their own progress, the skills and knowledge they have acquired, and the beliefs they hold about their ability to succeed. To monitor their progress I will teach students to use some of the formative assessment techniques, such as a one minute paper. To help students with the knowledge acquisition process I will teach them to use note-taking methods that they can then utilize later as a self-quiz. As to the development of skills, I make sure to note their accomplishments and progress in the feedback provided. Finally, I will talk about self-beliefs in messages I post and conversations I have with students - either by phone or through other one-on-one communication. #4. Provide Feedback and Follow-Through: Providing a completed rubric or letter grade is never enough when it comes to supporting students and addressing their developmental needs. I provide interactive feedback that addresses both the content and the mechanics of what was written. I add in comments via track changes in a Word document and I share my expertise, experience, and additional thoughts. I also ask questions in my feedback as a means of engaging the students further and then I encourage them to ask questions. The purpose is to create interactive feedback that prompts follow-up with them. The follow-through is necessary whenever I have a student who is struggling, not making progress, making the same mistakes, or facing any other challenges. I want to make certain they have read the feedback and provide them with an opportunity to discuss their progress. #5. Be a Teacher, Facilitator, Mentor, and Coach: Every instructor can lead the way for their students and be a guide that helps to support them in a servant leadership role. While many online schools like to call an instructor a facilitator, the many responsibilities that an instructor has involves much more than facilitating a process. Instructors need to be aware of how their students are performing and help them find resources when needed, teach them productive habits when it seems they cannot accomplish the required tasks each week, and offer support when they question their ability to do well or have self-doubts. All of these roles help to teach students to persist and it encourages a growth mindset. #6. Conduct Outreach on an Ongoing Basis: While this will require extra time on the part of the instructor, it can certainly make a difference in the long term success of the students. Instructors must be aware of the class conditions and alert for students who are struggling and disengaging from the class so that they can be proactive in outreach attempts before it becomes a chronic problem that results in complete withdrawal from the class. I've found that an extra email or phone call goes a long way towards establishing a bond with my students and helps to bridge the distance gap with them. Most of the time one outreach contact in some form is enough to re-engage the students; however, there are some students who feel hopeless and believe that circumstances happen to them rather than having control over their own outcomes. Those students require much more patience and personalized attention, which some instructors do not like to do, but in the end I've found it is worth my time as it helps to address the needs of my students. It is highly unlikely that every class will have a 100% retention rate, especially for online schools that have open admissions policies. However, through my work with online faculty development, and experience with online teaching, I have found that there is a direct correlation between the retention rate of a class and both the level and quality of the instructor's involvement. Clearly there are students who are not well-suited to the online classroom environment and this includes those students who are inflexible, uncooperative, and unwilling to adapt. But there are many students who are able to work successfully in a virtual class and if they experience challenges or frustrations the instructor's presence and assistance can prevent disengagement. Students respond well to an instructor who makes the extra effort to guide their development and they become more receptive to coaching and feedback. If an instructor cares about how they teach, as much as what they teach, it is possible to reduce the risk of student failures. 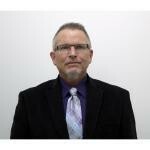 Dr. Bruce A. Johnson has developed expertise with adult education and distance learning and his background includes work as an innovative online educator, college professor, writer and author, corporate trainer, and instructional designer. Dr. J's areas of expertise include online teaching, online learning, distance learning, e-learning, adult education, curriculum development, and online faculty development. To learn more about Dr. J's work as a professional resume writer, along with the resources that are available for educators and career development, please visit: http://tinyurl.com/qgaym29.